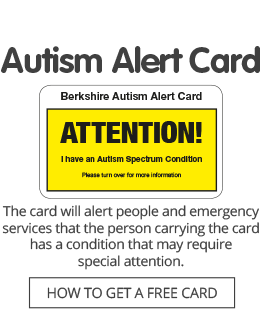 Autism Berkshire has a job vacancy for a support worker to help parents and carers while they are waiting for an autism assessment for their children, after they have received a diagnosis of autism or if they are in difficulties. We are looking for someone with previous experience of working in a family support role and experience of autism, whether personal or professional, and previous experience in the voluntary sector. This post is offered on a zero hours contract basis, initially until March 31, 2019, with the possibility of renewal, subject to funding. Click here for more information about this post, including a full job description and person specification and details of how to apply. Please note that we are happy to arrange an informal visit to our office, prior to application, to discuss the role. If interested in taking up this offer, please email ceo@autismberkshire.org.uk or call 01189 594 594. Applications will close at noon on Friday, November 2, with interviews taking place in the week starting Monday, November 5.